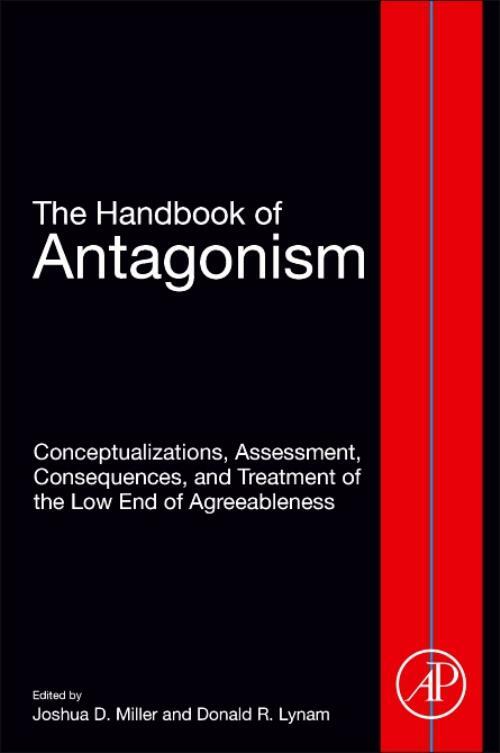 The Handbook of Antagonism: Conceptualizations, Assessment, Consequences, and Treatment of the Low End of Agreeableness looks at the theoretical and empirical underpinnings of antagonism, highlighting the consequences of the trait, its role in a number of problem behaviors and psychiatric disorders, and how it exerts itself on externalizing behaviors. Covering the biological and evolutionary roots of antagonism, the book provides clinical insight on assessment strategies, while also outlining a number of treatment techniques, including motivational interviewing, cognitive behavioral therapy, interpersonal psychology and psychodynamic treatment approaches. In addition, the book explores the development of antagonism across childhood and adolescence, discussing the societal consequences of the trait, as well as its role in a number of problem behaviors, such as aggression, violence, crime and substance use. Professor and Director, Clinical Training Program, University of Georgia. Dr. Miller's research interests include general and pathological personality trait models, personality disorders with a specific focus on the conceptualization and assessment of psychopathy and narcissism, and externalizing behaviors such as antisocial behavior, aggression, substance use, and gambling. He has published over 25 papers and is the co-editor of The Handbook of Narcissism and Narcissistic Personality Disorder, published in 2011 by John Wiley.